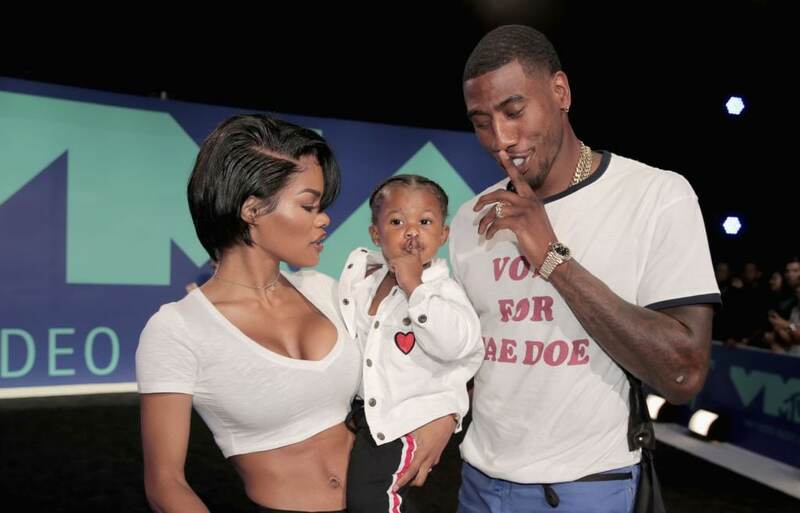 Besides teasing new music from an album, slaying her everyday wardrobe attire, and making everyone sick with jealousy from that banging body, Teyana Taylor and her hubby Iman Shumpert recently premiered their new Vh1 reality show, Teyana & Iman. The beautiful married couple, both 27, originally gagged the world in 2016 when they appeared in Kanye West’s “Fade” video in a steamy shower scene, and inquiring minds have been going nonstop ever since. In conversation with People, the songstress-mama opened up about what it’s like in their bedroom. Another factor in their love life is the love of their lives, their 2-year-old Iman Tayla Shumpert, Jr., nicknamed Junie. The couple made headlines following their daughter’s birth in December 2016 after she popped out unexpectedly while the couple were at home in their bathroom. Just them two, Iman assisted with the delivery as Teyana pushed, and the new father controversially held the umbilical cord with his Beats headphones. Today, their reality has completely changed. Family: even when they’re drivin you crazy, they’re always on your team. Who’s someone who has always been there for you? 💕⠀ ⠀ Catch @TeyanaTaylor and @ImanShumpert on the premiere of #TeyanaAndIman TONIGHT 9/8c on @VH1! “We don’t know if she’s gonna be a basketball player or model, singer, businesswoman — whatever it is, I always want to give her the opportunity,” she added. Teyana Taylor also revealed that Junie already has credits on a major music album— Blue Ivy better watch out! Teyana and Iman’s first season is now playing every Monday at 9/8c on VH1.